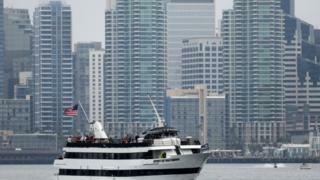 San Diego’s port operator has been caught out by ransomware. The Port released a statement saying the malware had infiltrated its computer network and was disrupting administration systems. It said the attack had not stopped ships or boats using the port, or put members of the public in danger. The FBI and Department of Homeland Security are helping the Port investigate and clean up in the wake of the outbreak. “This is mainly an administrative issue and normal Port operations are continuing as usual,” Randa Coniglio, chief executive of the port, said in a statement. The main impact would be on the issuing of park permits, public records requests and general business services, it added. The Port said some of the disruption was because of staff shutting down computers that were in danger of being compromised as the ransomware started to spread. The organisation did not say which malware was used in the attack but added that payment was being demanded in Bitcoins by the hackers behind the outbreak. The Port is just one of many shipping-related industries that have been hit by ransomware. In July, the China Ocean Shipping Company’s terminal in Long Beach was briefly closed by a malware attack. Last year, shipping giant Maersk was among the high profile victims of the NotPetya virus and said its business was affected for a couple of weeks. It has said the outbreak cost the company about $200m (£153m).